At the heart of GBGA’s grievance is the UK government’s decision to introduce regulation and taxation at the point of consumption, rather than the country of origin. 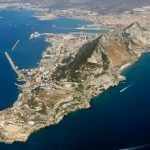 Previously, the regulated gambling industry in the UK was comprised of operators that were regulated, licensed and taxed in a number of jurisdictions around the world, including Gibraltar. These jurisdictions had been approved, or “white-listed”, by the government in Westminster under the 2005 Gambling Act. 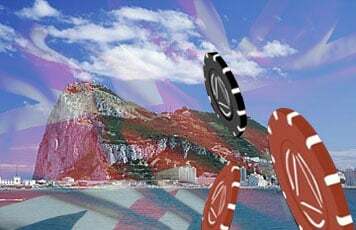 However, under the new laws, an operator wishing to engage with the highly lucrative UK market will have to hold a UK Gambling Commission license and pay the UK remote gaming tax of 15 percent of gross profits, significantly higher than many of the white-listed jurisdictions. GBGA argues that the act is a breach of European Law, specifically article 56 of the Treaty on the Functioning of the European Union (TFEU), which deals with the right to trade freely across borders. “All this Act achieves is a wholly unjustified, disproportionate and discriminatory interference with the right to free movement of services, a right enshrined in European Law,” said Dan Tench, a partner at Olswang, which is representing the GBGA. He points to the fact that while the protection of problem gamblers is one of the stated aims of the new legislation, problem gambling has reduced since the introduction of the 2005 Gambling Act, which suggests that there is no reasonable argument for the restriction of trade in this case. He also says that because the vast majority UK players use white-listed sites, there’s no pressing need to fight the black market. However, says Chess, in comparison with every other point of consumption regime in Europe, the UK one looks completely reasonable. “Your average Francophone European Court of Justice judge will see this as a model of deregulated paradise,” he says. Julian Harris at Harris Hagan agrees: “There is a legal basis for it but frankly, it’s a bit thin,” he says. Once a law has been passed by parliament, which is the highest court in the land, it can only be challenged in Europe, he says, adding that the European Court has already looked at the law and OK’d it. However, despite the difficulties of the case, the GBGA still means business. 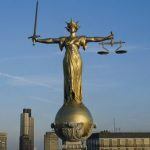 The legal team it has recruited is formidable and it’s estimated that it may have spent £500,000 ($824,375) on the case already.